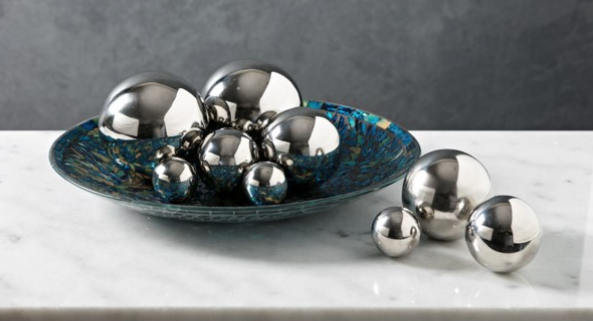 The set of nine Abbott Steel Decorative Balls designed by Carolyn Kinder International add a reflective element to any decor in a set of various complimentary sizes. Dimensions: (2-2.75-3.75-4.75″d); Materials: 100% Stainless Steel; no assembly required. Available to trade professionals at IMAXCorp.com. 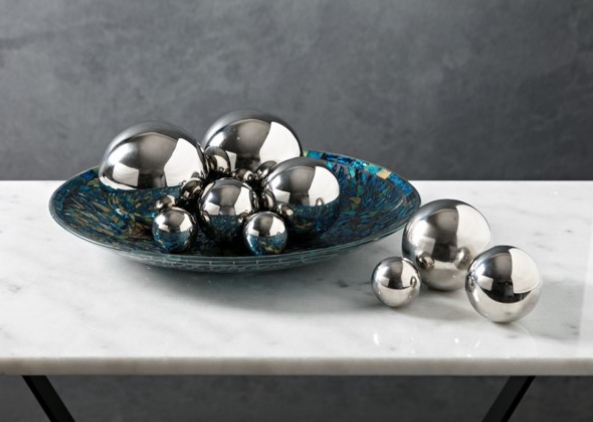 For retail purchase Google search term “Carolyn Kinder Abbott Steel Decorative Balls”.